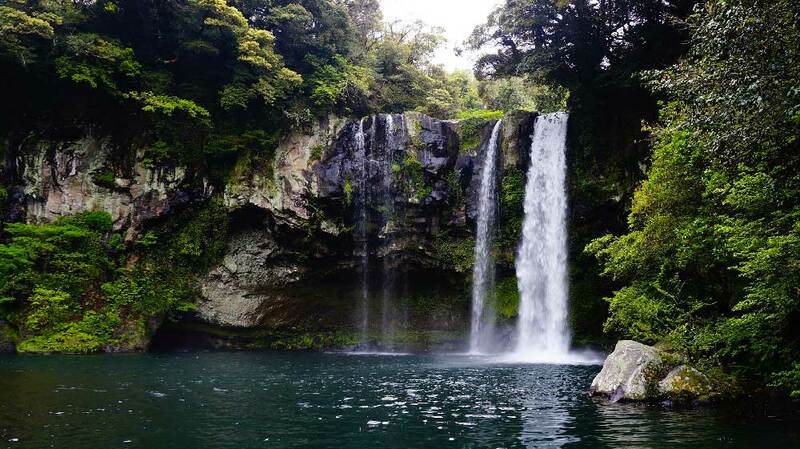 Ask any Korean what their favourite domestic getaway is and you’ll constantly get the same answer: Jeju Island. Just one hour from Seoul by air, this semi-tropical destination completely defies the usual images of South Korea, appearing far more like an island in Hawaii than one off the southern coast of the Korean peninsula. And this island getaway’s not just a pretty face either. There are plenty of things to do in Jeju from hiking up Korea’s highest mountain to checking out some of the country’s most—umm—intriguing museums. However you manage to plan out your Jeju itinerary, you’ll regret leaving out a hike up Mount Hallasan, the highest mountain in South Korea. This dormant volcano, located smack-dab in the middle of Jeju, unleashes incredible views of the island along with a crater lake that complements the landscape with its deep blue hues. For most people in relatively good condition, getting up and down Hallasan within a day is possible—although perhaps not exactly easy! Even if your lungs, quads, and knees are screaming too hard to keep you from the approaching summit, there’s a whole slew of nature trails ringing around this epic UNESCO World Natural Heritage Site that’ll put you in touch with some spectacularly colourful flowers and vegetation. As you travel around Korea, you’ll notice that there’s no shortage of folk village museums scattered throughout the country. Somehow, the Jeju Folk Village Museum is one that won’t want to skip out on. Jeju’s displaced location from the mainland has imprinted a culture on the island that’s unlike another place in Korea. The Jeju Folk Village Museum displays traditional homes and artefacts that reflect Jeju’s unique folk heritage, split up into four villages: Mountain, Hill Country, Fishing & Shamanism. Besides getting a chance to catch a glimpse of Jeju’s past, tactile travellers can test their cooking skills at the village’s traditional school (seodang) where you can learn to prepare dishes like tofu or red bean porridge in Jeju style. Entrance to the park is a mere ₩2,500 (about $2) and well worth it, not just for the waterfalls themselves, but for the sounding lush scenery. 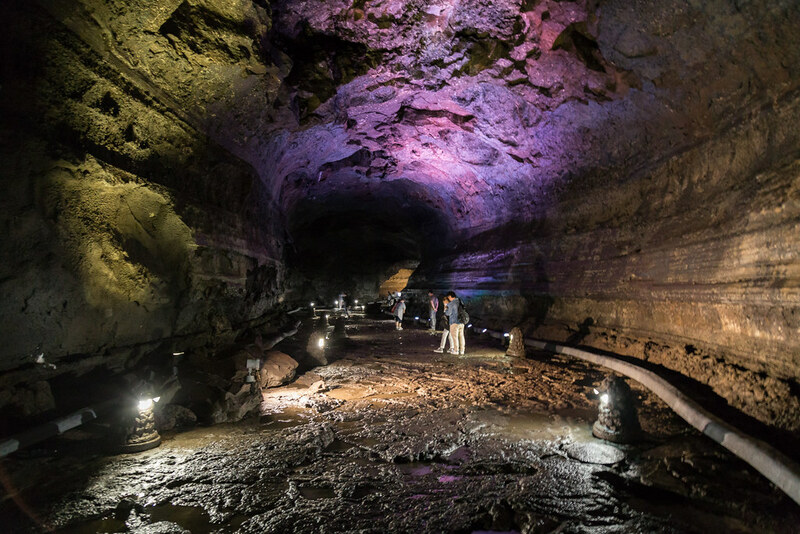 Among Jeju’s dream team of UNESCO World Natural Heritage sites, Manjanggul Cave is an ancient 13-kilometre-long lava tunnel whose lifespan is estimated at a staggering 2.5 million years old. As you ply through the one-kilometre section of the cave that’s open to visitors, you’ll become dazzled by the eerie stalagmites creeping up from the tunnel floor as they’re illuminated by the subtle green, pink, purple, and blue lights. As with any cave, keep in mind that the temperatures in Manjanggul Cave are quite a bit cooler than the outside. Be sure to pack a sweater or a fleece jacket to keep your self warm. You’ll also want to wear a good pair of hiking shoes with a non-slip sole as the cave floor can become a little slippery from moisture. 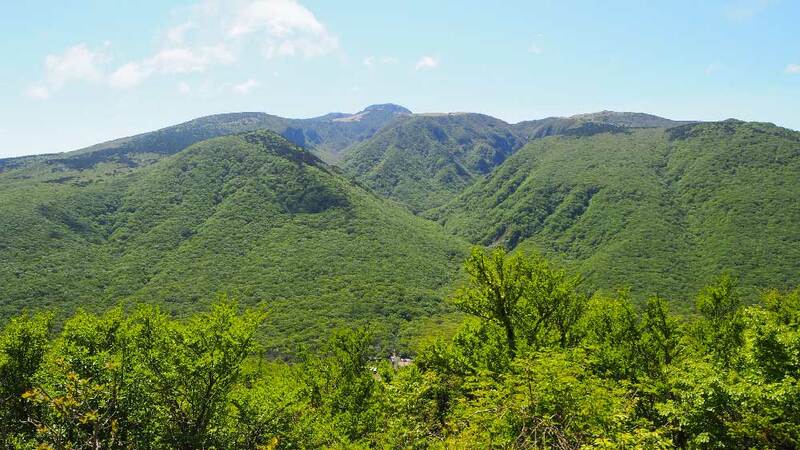 If trekking up Hallasan seemed a little too daunting, a brilliant consolation prize is to attempt the 25-minute hike up 182-metre-high Seongsan Ilchulbong, an extinct volcano crater that’s become a rite of passage among Jeju tourists. Although the walk and view is spectacular at any time, timing your trip up Seongsan Ilchulbong to catch the sunrise is a brilliant way to start your day. Entry to this UNESCO World Heritage Site is just ₩2,000 (about $1.75).